Debates about press freedom have raged often in Albania’s 20 years of democracy. Now, as the country enters its third decade of democracy, the debate must be waged in a new context. 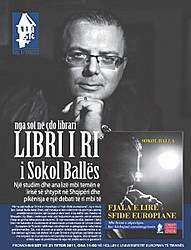 Journalist Sokol Balla’s new book entitled Freedom of Expression – A European Challenge serves as an introduction to the new course of press freedom in Albania. In his book, Balla provides several guidelines to consider as press freedom evolves in Albania. He emphasizes the fact that Albanians don’t have the same issues they had 10 or 15 years ago, when the independent press was in its infancy. While Balla doesn’t suggest there is a thriving “media industry” in Albania per se, today’s system of media is highly complex. At the heart of media freedom in Albania there stands the economic problem from which all the other issues are derived. The first and perhaps most significant problem can be found in financing. Today’s media system is constructed as an industry, and while the system is essentially a business, it operates without the fear of bankruptcy. More than one-third of media funding will arrive through the sale of products or advertisements. The remainder is then provided through sponsorships from those in power, or from trafficking and abstruse segements of the economy. Most alarming is the failure of journalists to confront the media industry with efforts to investigate sources of funding, as the salaries of those working in the media would be reduced by at least two-thirds, and jobs would be cut. In Albania, new conditions produce different circumstances for economic and cultural development. More than ever we may see the media system become part of the service industry, as an extension of economic and marketing groups. In this situation, new issues related to freedom of expression become more complicated and cynical questions must be raised. For example, when the media does not justify itself financially, is it worth having a sense of tension between journalists and funding sources? In addition, does freedom of expression suffer when the media is funded by economic groups possessing distinct marketing interests? Balla’s final point is related to the rapid appearance and development of public relations in the era of mass communication. All societal actors in Albania – economic, institutional and the like – have begun to intensively develop their public relations accumen, even though Albania has little experience in the free market of expression. Critical questions must be raised concerning the point at which information on products and services is transformed into advertising. We must then ask where the line falls when coverage of governmental activity can be considered transparent and when it is considered propaganda. 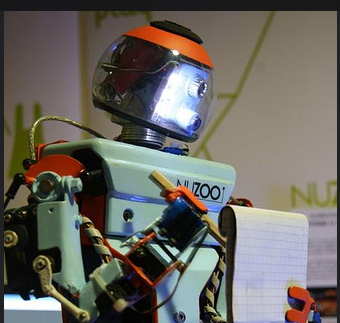 And finally, how will the future of media ethics evolve with the new context of public relations and marketing?